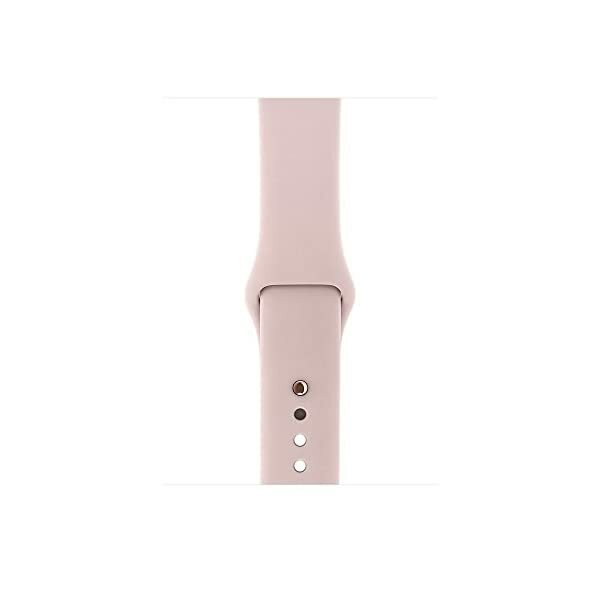 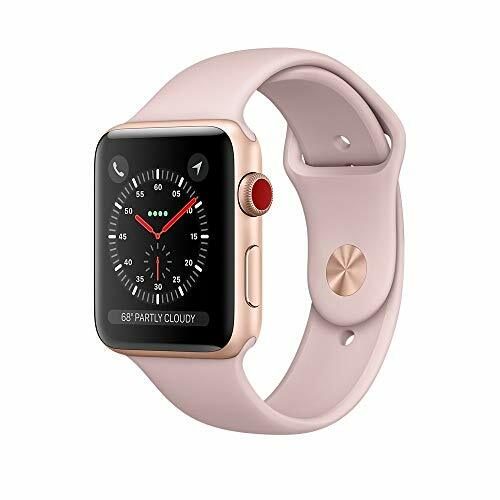 Stay connected in style with the 38mm GPS and cellular-equipped Apple Watch Series 3, which comes with a gold anodized aluminum chassis and a Pink Sand Sport band. 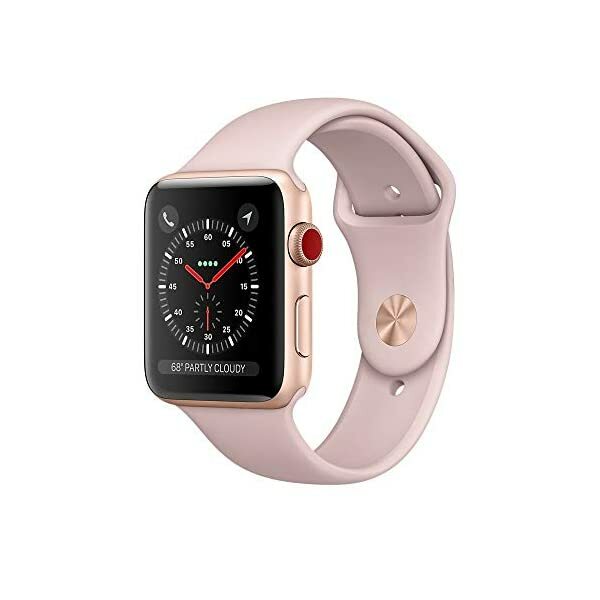 Designed for users looking for the next generation of connectivity, Apple’s Watch moves your iPhone’s apps and functions to your wrist, so you can do more while leaving your phone in your pocket. 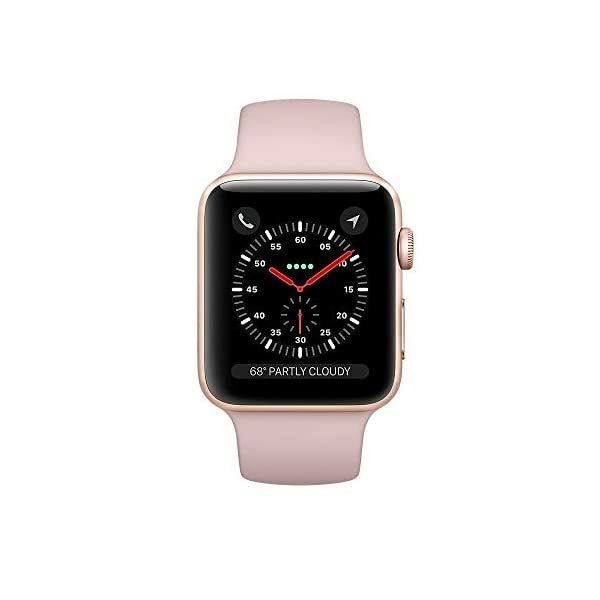 Apple Watch connects to your iPhone via Bluetooth 4.2 and displays notifications, apps, and more on its 1.3″ display. 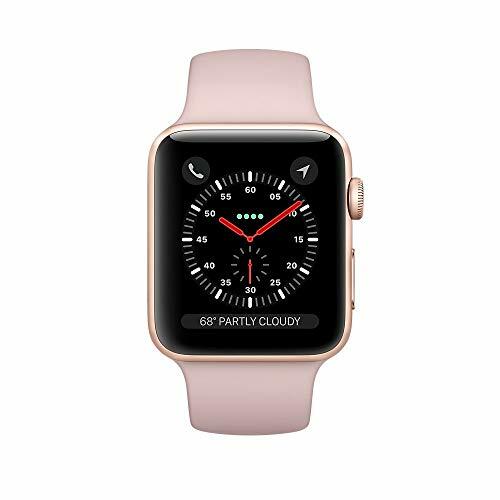 It can also connect directly to the Internet thanks to 3G and 4G LTE cellular compatibility and 802.11b/g/n Wi-Fi. 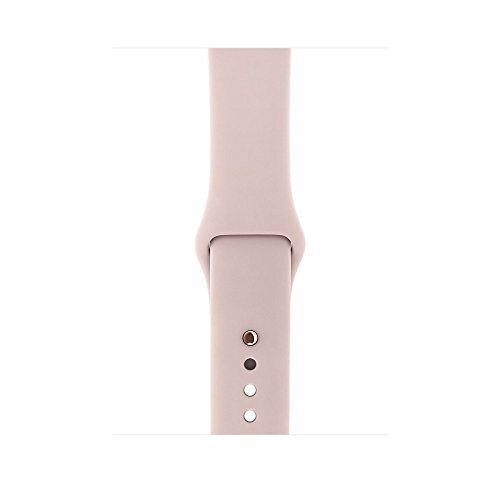 The internal battery lasts for up to 18 hours of normal use and is recharged with an included inductive magnetic charger.